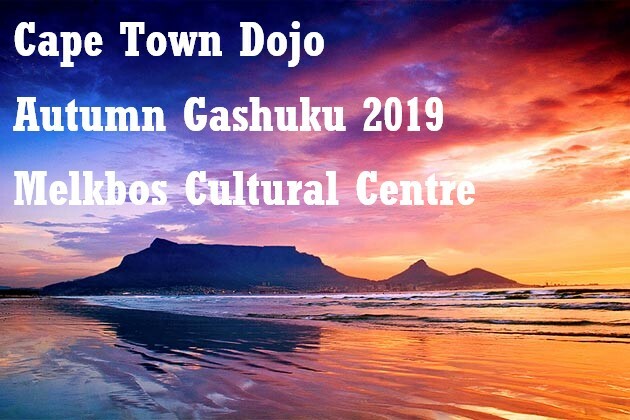 The Gashuku will be held from the 24-26 May 2019. Arrival on Friday from 5pm. Pick up on Sunday at 1pm. Does the Student have any allergies, chronic illness, special dietary requirements or medical conditions? If yes, please describe. I hereby give my approval for my / my child’s participation in any and all activities prepared by Cape Town Dojo during the selected camp. In exchange for the acceptance of my /my child's candidacy by Cape Town Dojo, I assume all risk and hazards incidental to the conduct of the activities, and release, absolve and hold harmless Cape Town Dojo and all its respective instructors and representatives from any and all liability for injuries arising out of the selected camp sessions. In case of injury to me / my child, I hereby waive all claims against Cape Town Dojo including all coaches and affiliates, all participants, and, if applicable, owners and lessors of premises used to conduct the event. There is a risk of being injured that is inherent in all sports activities, including Karate. Some of these injuries include, but are not limited to, the risk of fractures, paralysis, or death.